Barter Books : Darton, N H : The Santa Fe Route. Guidebook of the Western United States Part C.
230 x 150 mm (9 x 6 inches) - iv, 200pp + maps. G: in Good condition without dust jacket as issued. Splits to hinges. 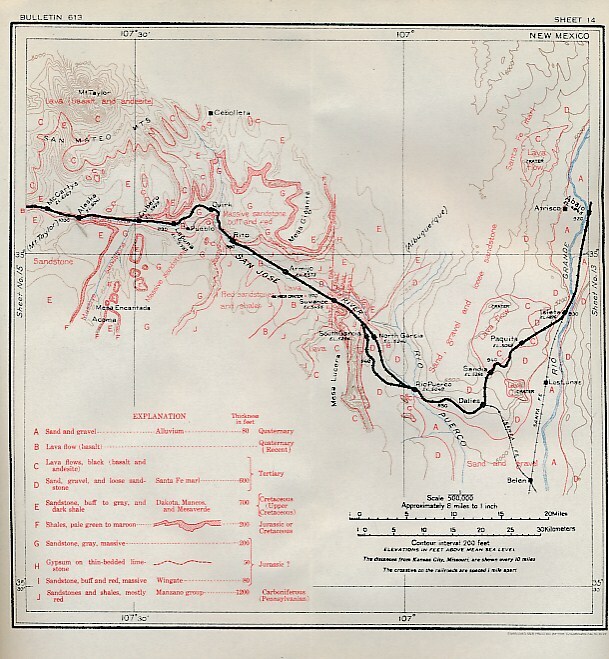 Maps from the United States Geological Survey 1915.